In my last post about the suit, I explained the importance of the suit and why this should be one’s first priority in choosing equipment for either freediving or spearfishing. Now here are my ideas on choosing what kind of suit, and some tips that might help. The first consideration is fit, this is so little understood. I have met many even quite experienced divers who claimed that their suits fit perfectly when they very obviously didn’t. The proof is usually that they are shivering with cold when others with the same thickness of suit are still comfortable. A suit has to fit skin tight, restriction of movement should not be a problem as a good suit, unlike a scuba suit should be very flexible. The point is it should fit everywhere with no “pockets” under the arm pits, and a good fit at the wrists and ankles, the hood should be snug at the neck and around the fac ,without being over tight there. The suit may seem over tight when it is dry particularly if it has material (like nylon) on the outside, but should feel like a second skin when it is wet . It is nearly impossible to find the kind of fit I am talking about in a ready made suit. A ready made suit will always fit more or less, and you will get colder more or less. There is at least one Italian suit maker, whom I know well, whose tailor made suits are virtually the same price as corresponding ready made suits by leading manufacturers. Their cut is superb, they give you an excellent choice of material, and of camouflage if you are a spearo, and their fit is perfect. They have a very good explanatory video of how exactly to measure yourself . You can order your suit from the internet and you should allow about 6 weeks to get it. Now for the important question of type of suit and material. Except for the warmest of water (28°C and above) a suit should be 2 piece with hood attached. Spearos prefer the long john – pants configuration, this is where the trousers have shoulder straps. For the freediver who may do free immersion or use a monofin in CWT, this would be too restrictive. The suit must have no zips for easy entry, it should be elastic enough for entry, with soap (soapless soap) without this. As for the material the best compromise by far is material on the outside and open cell without a coating on the inside. The open cell adheres to the skin and gives fantastic insulation, and the material on the outside protects the suit and gives it its robustness. 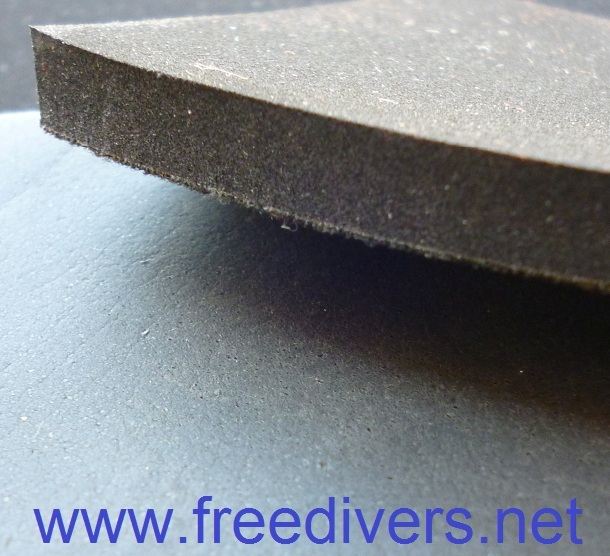 Ultra performance freedive suits are slick rubber on the outside and open cell on the inside. This gives the ultimate in flexibility, warmth and slippage through the water. But this is all at the expensive of robustness, these suits are extremely delicate, their main enemy are finger nails when putting them on or off! These are not a good choice for spearos. 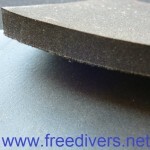 A good choice of neoprene is medium density, high density means minimal variation in buoyancy, a good choice for the deep freediver, low density means slightly more comfort, flexibility and warmth but the downside is a big penalty for the deep diver it requires a lot of weights to go down and when the suit compresses at depth you need to pull all that weight back to the surface. Something else worth mentioning is the vest, slick on the outside and open cell on the inside of 1.5 mm, this can extend your season by a lot, this winter I have been using, without any discomfort, a 3mm suit slick and open cell in 21 degree water, spending 2hrs + in the water and my tolerance to cold is poor. The last on the list are specialist suits, I just want to mention them but they are outside the scope of this article. There are hi–tec suits in the overall configuration for the No Fins disciplines. The overall in different thicknesses, with or without a hood is a good choice for No Limits as this stops water flushing under the jacket of a normal suit when descending feet first. New Zealand has always been internationally know for the beauty of its natural heritage and the common decency of its people, two things sadly vanishing in the modern world. 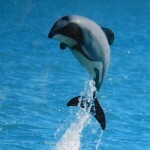 The case of Hectors Dolphin bears witness to this, the present Government of New Zealand is dismally failing in its obligation as the trustee of this Heritage, any benefit from the commercial imperative will soon disappear and if this species is allowed to vanish something of inestimable value will be lost for ever. AND PRESERVE THE NATURAL BEAUTY AND RICHNESS OF YOUR ISLANDS ,WILL YOU AUTOMATICALLY CRAVENLY BOW TO THE COMMERCIAL IMPERATIVE ? IS THIS THE WAY YOU WANT YOUR CHILDREN TO DEFINE YOU AND THE WORLD TO PERCEIVE YOU ?